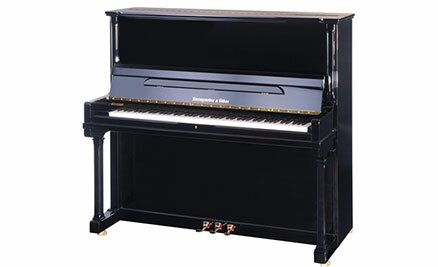 Certainly in the UK, Steingraeber pianos can still be arguably defined as the best kept secret in the piano world. Since 1852, these wonderful instruments have been made to very limited numbers in Bayreuth, Germany and their list of proud owners include Franz Liszt whose last piano can be found in the grand yet welcoming residence of the Steingraeber family. Udo Schimdt-Steingraeber and his talented team of artisans produce exquisite instruments which, for those in the know, are considered to be amongst the finest pianos made today. We have sold several of their instruments to famous musicians who up until their visit to our showroom, were not aware of their existence. They are also responsible for many innovations including the optional SFM ‘grand feel’ action on their uprights and the unique pedaling system for wheelchair bound players. This beautifully made, highly characterful instrument has been the No.1 choice for many recording artists. 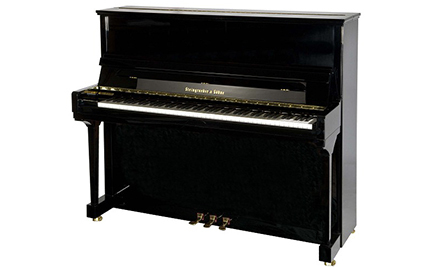 One of the most expressive upright pianos ever made. 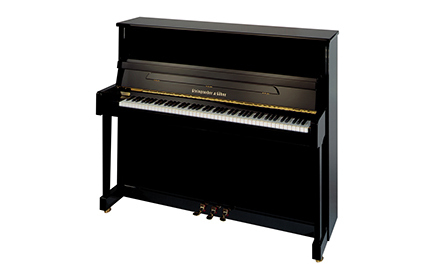 This exceptional hand-built German piano has the additional option of the patent SFM action which perfectly replicates the feel of a grand piano. This magnificent instrument is the largest upright in the world and sounds like a 180cm grand piano. It was awarded 'Best piano in the world' By Le Monde magazine.